Ok so, if you’re reading this right now, you’re a lover of the finer things in life, just like us. You love to travel, savor food, discover new places, admire art, buy gadgets, upgrade your entertainment system, gear up for your next adventure, wouldn’t mind test driving a new ride etc. And you’re most probably constantly on the lookout for all things new. So here is our pick of the latest cool things to see, have or try. 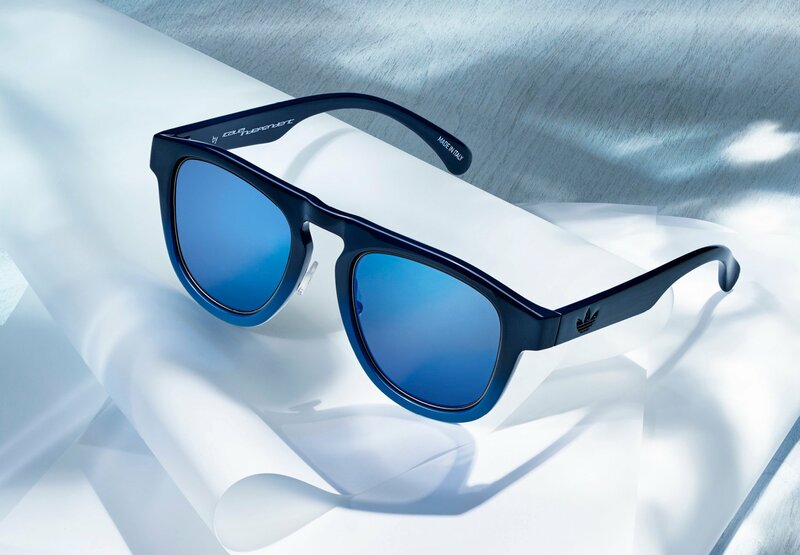 Summer’s shining strongly all over and as every conscientious fashionista knows, protecting one’s eyes shouldn’t come at the expense of style. Italia Independent and Adidas team up again for a new funky eyewear line, much to our delight! Unisex plastic frames with classic 70s looks inspired by the hues LA, from the keyhole bridges and thick rims to the glossy colors. The front is decorated with gunmetal grey circles inserted between the lenses and the frame. The flat mirror lenses come in bright colors, whereas the flat lenses of the retro colors are full and low-key. Any self respecting cigar aficionado has to have a humidor at home. 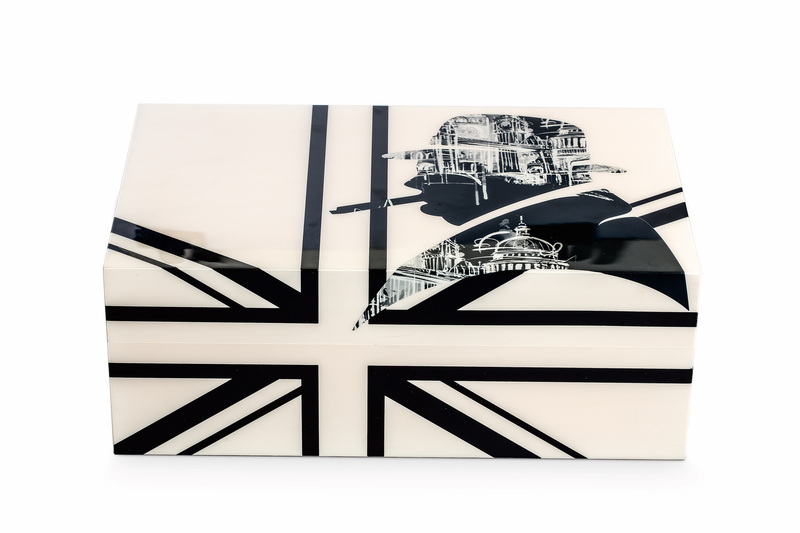 While those come in various sizes and colors, usually with a lacquered wood outer skin, Davidoff Cigars launched a new line of humidors inspired by and in celebration of Sir Winston Churchill, one of the world’s most iconic cigar aficionados and the ultimate British Statesman! Our favorite one from the collection is the sleek Ambassador “London”, showing the London’s landscape within the Winston Churchill profile on beige tulip wood! Ok, we admit this one is way over the top, but bear with us, just for kicks! Prada came up with its latest “wow” object, a sterling silver “paperclip-shaped” money clip, sold for $185 per piece! Almost identical to regular paper clips, the Prada money clip has sparked controversy on Twitter; some deem it to be the latest must-have item on the market, while others find its price insane -you can buy thousands of regular paper clips for that price. Available at Barney’s, the clip seems to be selling out fast. Let’s face it, infinite blue waters aren’t the only setting we long for all year. Green grassy ‘pastures’ are also one of spring and summer’s favorite color settings. And grass goes with picnic! Sitting on the ground does not mean you can’t do that in style. All you need is a Les Jardins de la Comtesse Marine picnic basket to turn a traditional experience modern. 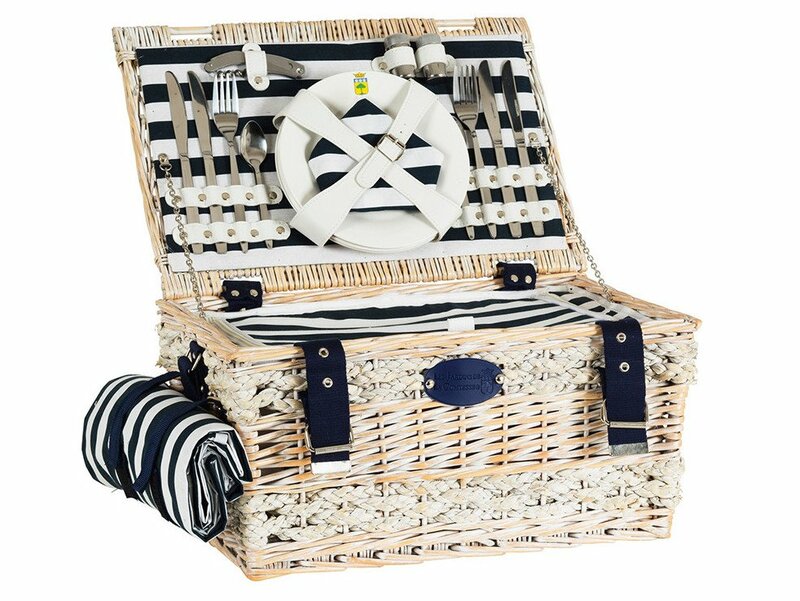 Lined with striking nautical print, the wicker hamper includes cutlery sets, plates and plastic wine glasses for four people, and is finished with chic white and blue leatherette straps. The French brand’s matching blanket comes along with the basket. 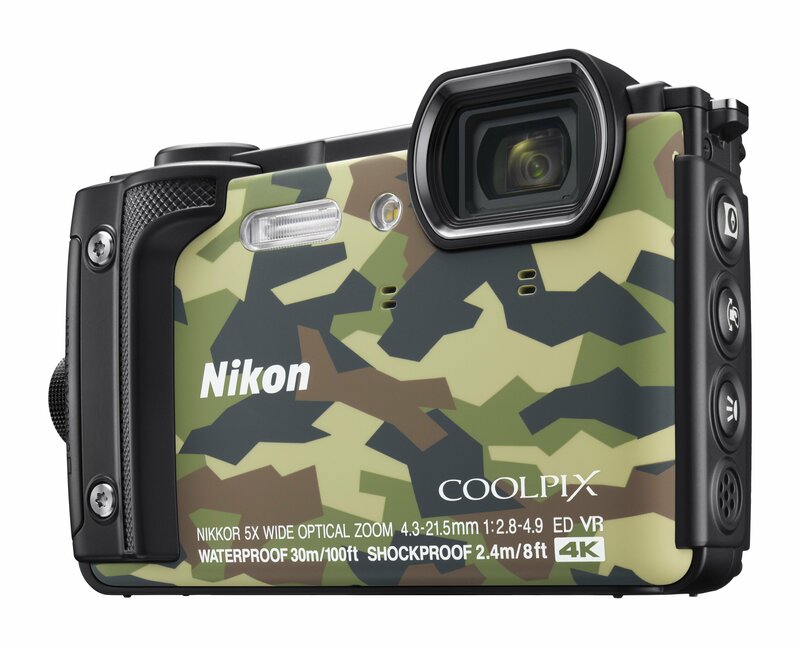 Just because we want youto be cool while taking photos, we suggest the new Nikon Coolpix W300 in camouflage for your upcoming vacation. The compact camera is waterproof and goes down to a depth of 30m, survives falls of up to 2.4m, weathers cold temperatures as low as -10°C and manages a dust-proof ruggedness to get right into those adrenaline-filled quests! Needless to say, summer is synonymous with sun and sea. And no one would mind catching some sunrays out on a yacht, basking in opulence! 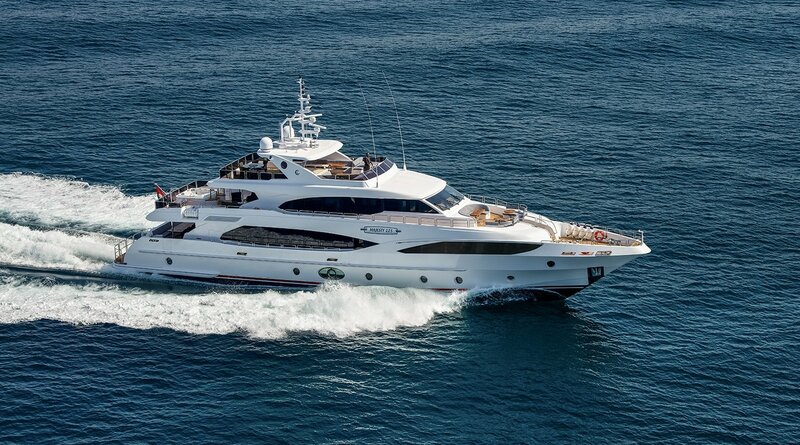 The Majesty 125 Superyacht is all about luxury and comfort, with premium performance-based sea keeping. The triple deck yacht can be customized to suit private use or corporate entertainment, and features a bespoke central audio-visual and ambiance management system to further enhance the cruising experience. For A Casual SS2015 Look!